You may not hear this tune during his performances, but the guitar-playing career of Dr. James Wendel started with “Last Train to Clarksville.” One of the most popular songs in The Monkees catalog, it was all Dr. Wendel wanted to learn when he started to explore music in the form of piano lessons from an older lady in the neighborhood. Three years of piano didn’t quite stick, but with the ability to read music, Dr. Wendel wanted to try his hand at guitar. He taught himself some chords and took lessons in high school, leading him to perform on and off for classmates in college. Guitar continued to be a part-time pursuit even when children entered the picture. Dr. Wendel toured on what he referred to as “the kindergarten circuit,” covering Raffi songs like “Baby Beluga” for his small children and their classmates in school. Nick Tuttle, a University of Cincinnati College Conservatory graduate, changed Dr. Wendel’s hobby into a passion. Through lessons with Tuttle, he dove deeper into music theory and song structure, and he met his performing companion. James Knight, a songwriter and aspiring guitarist, happened to be slotted for a lesson directly following Dr. Wendel’s session with Tuttle. 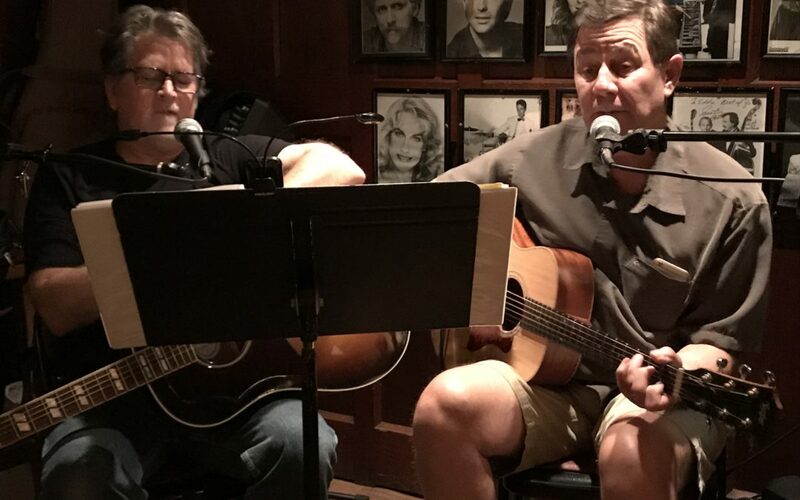 Tuttle’s guidance helped Knight put music behind his lyrics, and he would go on to invite Knight and Dr. Wendel to show their new skills at the end of his performance at the Blind Lemon bar in Mt. Adams. By passing an audition, Dr. Wendel and Knight are now invited to play a couple of times each month at the Mt. Adams establishment. These sets consist of 60% original music with some singer-songwriter covers thrown into the mix. Growing talent and a better ear for music allow both Knight and Dr. Wendel to make the covers their own, though. The week of a gig, the two guitar students get together to practice and work on new material. This collaboration is especially important when they take the stage at Wunderbar! in Covington, where performers can only play original compositions. If you enjoy Ray LaMontagne or John Prine, Knight’s original tunes are put together in the same vein of great singer-songwriters. Dr. Wendel genuinely enjoys performing in front of people, and we invite you to check him out at the Blind Lemon on October 12 from 6-8:30pm. You’ll get to hear a mix of familiar tunes and fun, new ones from Dr. Wendel himself. The great people who work at our practice make it a truly special place. Learn more about all our doctors here.